Windows 10 Privacy Advocate has been released as an open-source project on GitHub. The project aims to allow Windows 10 users to take back some of their privacy. 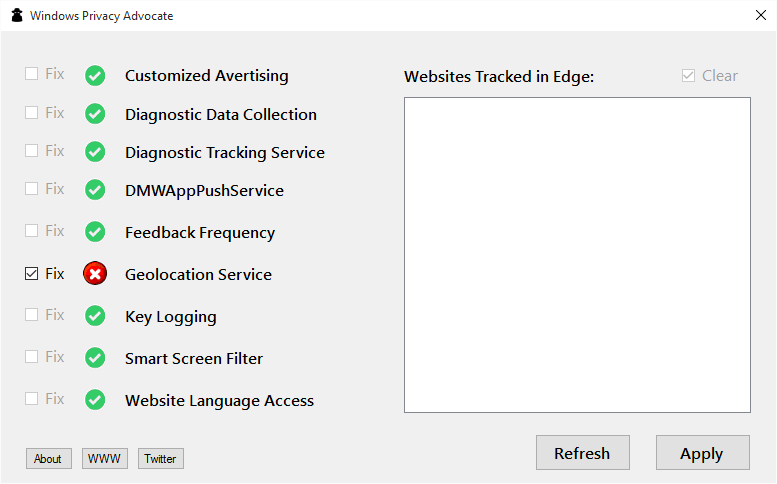 With the release of Windows 10, many new forms of tracking have been included. 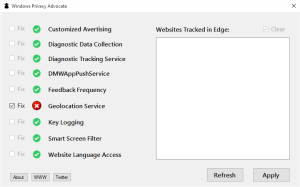 Everything from tracking what sites you visit, how many times you visit them, and when the last time is you visited them; to key logging what you type and sending it to Microsoft. There is a big difference between analytics and snooping. I feel Windows 10 crossed that line in a big way. So, I created a free open-source app and released it on GitHub.